It’s always hard to find a board book that’s as pleasurable for parents to page through as it is for baby. Kids’ books these days are works of art, I love them. Books for baby though, on the other hand, are a bit trickier. If baby likes it, it’s probably done up in the garish, overly-saturated primary colors that are easiest for young babies to see. 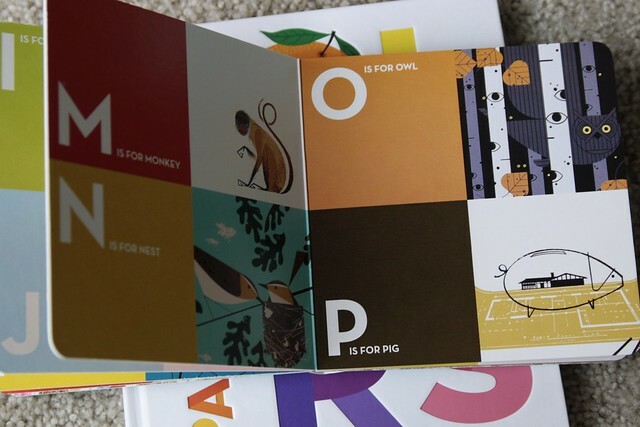 If Mama and Daddy think it’s a pretty book, the colors or drawings are probably too subtle to hold much interest for baby. I’ve been on the lookout for a long time for a book that teaches colors in a beautiful way and I’ve finally found one. 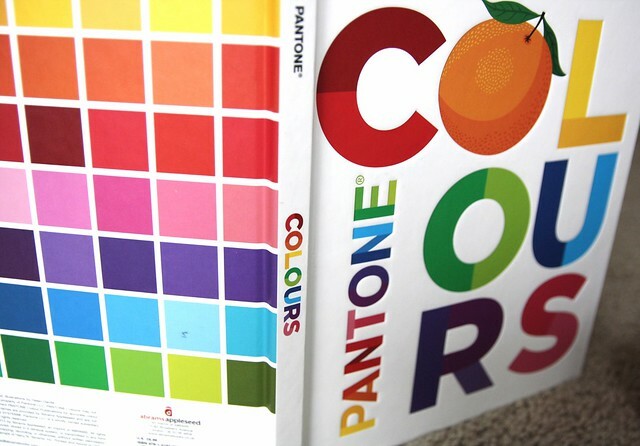 Or rather, Chris sister Kathleen found one: Colors (or Colours as our UK edition is called) by Pantone. 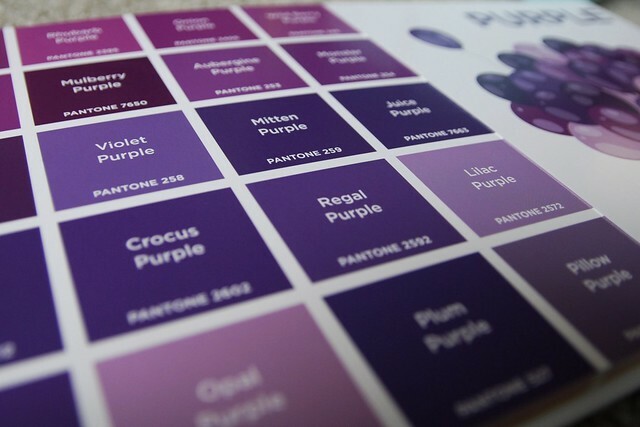 I love colors; so much so that I get RSS feeds from websites like Design Seeds and I can’t walk out of a hardware store without at least four or five paint swatches–even if I have absolutely nothing to paint. Which is part of the reason I love this book so much. The colors and pictures are bright and eye-catching enough to hold Will’s interest while the layout is so clean and minimalist that it appeals to me too. The pages are very sturdy and the cover is embossed with a matte finish that both Will and I love to touch. 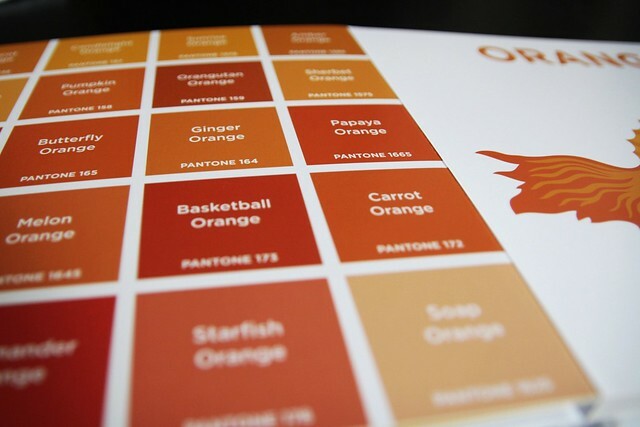 And if you’re like me and love you some paint samples, you’ll have one more reason to love this book: each left-hand page is laid out as a grid of different shades of the same color. For now, Will doesn’t have much interest in this feature, but I think in a few years it will be useful for him to learn how to recognize and categorize more subtle shades of color. 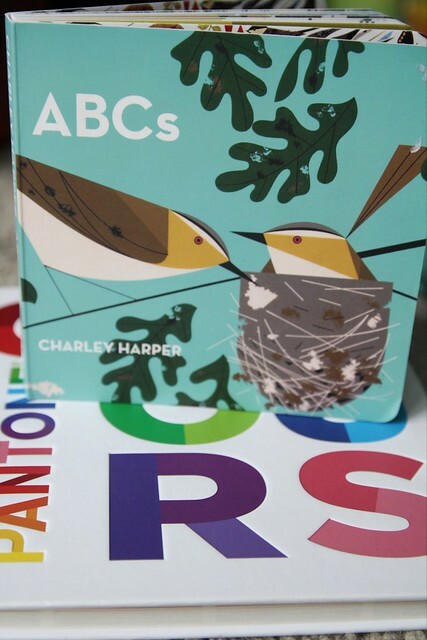 Chris’ sister also found us my current favorite ABCs book, a compilation of illustrations by the late Charley Harper. What are your favorite books for babies? Which are the ones that you find most beautiful? Those seem really cool. I am totally going to check them out. One we like is Counting Colors (http://www.amazon.com/Treasure-Counting-Colors-Roger-Priddy/dp/0312501374/ref=tmm_other_meta_binding_title_0?ie=UTF8&qid=1343229870&sr=8-1). It teaches colors and counting. It’s also like I spy but simpler. Kids like it for different reasons at different ages. Our daughter liked it for several years and the little one likes looking at the pictures now too. 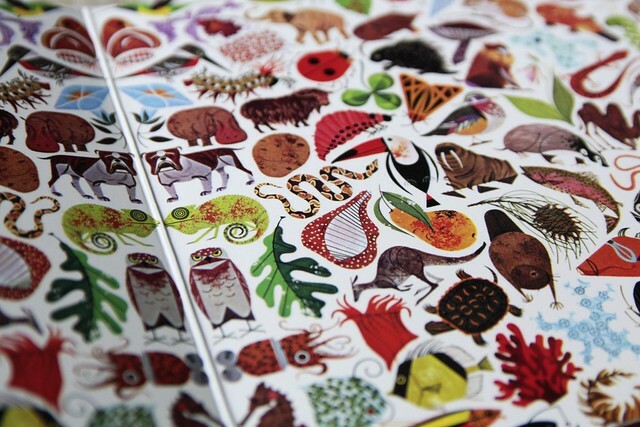 Oooh I like the Treasure Counting Colors book! I’m going to be doing a bunch of Amazon ordering next week and shipping things to India instead of here, so excited! I’m definitely going to look those up. Those are gorgeous! Thanks for the recommendations. With a birthday coming up, they’re just in time. Hard to believe Will is walking! what a super cutie. I love that tottery gait. You’ll have to wait until Will is a little older (like 3-4 years from now), but my favorite author growing up was Robert Munsch. In particular, I remember loving ‘The Paper Bag Princess’ (not your typical princess story… at all) and ‘Something Good’ but ‘Love You Forever’ is good too. I’m going to keep your recommendations in mind for the future, thanks! … This baby week is making my clock tick even louder. oooh those sound like great book ideas! I especially love the idea of the unconventional princess, I think its good for boys to read books with girls as the heroines too. Can’t wait to find these, thanks for the recommendations!